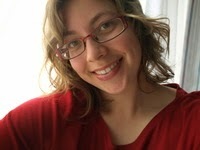 Melissa Lee LeGette has been writing seriously since she was a teen. She loves an old world vibe with a magical twist, and she puts her full focus on creating believable characters--even if they happen to be a talking beer mug. Her books are targeted for children and teens, but have been enjoyed by adults of all ages. She lives in Georgia where she helps run a family farm, so her nails are a fright. 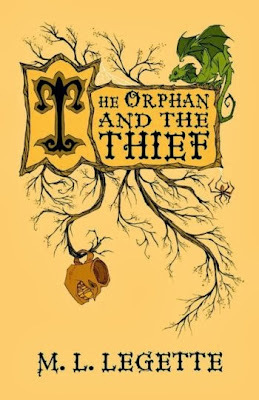 The Orphan and the Thief marks your third book with the succes of your preveious books .The Tale of Mally Biddle and The Unicorn Girl what are your expectations from this one? I hope to always gain new readers with each release and so far, I know I’ve gained many, so that’s exciting! There are few writers who write for kids especially in this genre. congratulations for achieving this feat. how did you make this possible with such fidelity? Thank you! To be honest, I don’t think of myself as a children’s writer. I actually don’t write for any one but myself – makes me sound rather selfish, but there you are! It just so happens that the sort of stuff that I like to write about is the sort of stuff that children will most likely want to read about. how difficult is it to put words in the mouth of inanimate objects and bring them to life? Please tell us something about the talking beer mug. Not as hard as you would think. Just like any character, it took me some time to figure him out. But once I did, Joe was pretty enjoyable to write. He was my wild character. I wanted him to be rather unpredictable – the nonsense words, the annoying singing – but also incredibly reliable – knowing how to not be eaten by an ogre. He’s a rather pompous beer mug and arrogant, often holding himself in very high regard. He can be downright mean and vindictive, but once he’s been made a friend of, he’s a friend for life. He’d be pretty fun company at a party. It is rare that a book etches its impression across people of all ages. how does it feel to have struck such a vibrant chord? It’s really exciting! I think it shows that it’s well written, that 12 year olds all the way to 70 year olds equally enjoy it. Isn’t that the point of books, really? To be enjoyed? When you shape the events in the story do You get into the character and decide the course of events or do You shape them in a prepondered architecture? The story always comes through the characters, for me. They lead the way and I’ll sort of tug them this way and that, just to see what happens. All your books are in different genres The Unicorn Girl being a YA fantasy,The Tale of Mally Biddle more of a mystery and fiction and of course this time it's a children's fantasy,a fairy tale so what makes you to write such unique and completely distinct works? I’m so flattered you think my work is so different from each other! That is the biggest worry that I have – that I become repetitive to the point that I’m merely rewriting a previous book, so I’m really thrilled I haven’t done that yet! I certainly have my comfort zone and so, generally speaking, if you like one of my books, you’ll like the others. But I let the idea and the characters sweep my away and I’ve been lucky that inspiration has kept knocking on my door. I always get really nervous when I realize someone has reviewed one of my books, nervous to the point that I often hesitant before deciding to read it. But when it comes to negative reviews, I try to not take them too seriously. I understand that we all have different viewpoints, but at the end of the day I have to stand by my work. I believe in it. I love it. I trust it. I did the best that I could and that is enough for me. You know, I’m starting to feel a bit more comfortable, but to be honest it often feels that when I sit down to start a new novel that I’ve suddenly forgotten how to do it! Starting is always hardest. You spotted that! Well done! Book three had a title change, just as you thought. For a long time it was ‘Quest for Milo’ when the main focus of the book was tracking down Melena’s long lost brother, but the plot got a serious makeover and the title didn’t fit anymore, so I changed it to ‘The Orphan and the Thief’. Much better. Have any of your characters inherited some of your personal quirks? Toad has my randomness with words. We’ll say one thing when we actually meant something totally different. And Melena has my franticness. All writers are readers first! So who are your favorite authors and what are some of your all-time favorite books? I love J.K. Rowling’s Harry Potter series, Jane Eyre by Charlotte Bronte, Jonathan Strange and Mr. Norrell by Susanna Clarke, Matilda by Roald Dahl, Redwall by Brain Jacques, Ella Enchanted by Gail Carson Levine, The Giver by Lois Lowry, Beauty by Robin McKinleyto name a few. You’re very welcome! It was my pleasure. An adventure that will keep you and your kids spellbound. Toad thought it’d be easy to steal from Mr. Edward P. Owl. Unfortunately for Toad, he isn’t the best of thieves. Caught in the act, he’s in more trouble than ever before. Now to save his hide, Toad must track down five rare potion ingredients for Mr. Owl. Or else.All Melena Snead wants is her family back, but after the Miggens Street Fire, that isn’t very likely. Orphaned and miserable, forced to work in an apothecary, she’s determined to find Milo, her missing brother. No matter what. When Melena finds Toad ransacking her apothecary, Toad gets a nasty shock: apothecaries don’t carry Mr. Owl’s ingredients. Luckily, Melena’s willing to help, for a price. With Melena’s pet Spit-Fire dragon and Toad’s enchanted talking beer mug, they embark on a fantastical journey, traveling the country in search of the potion ingredients. But can they gather all of them in time, what with monsters, pirates, and axe-wielding thieves? And if they do, is there an even greater danger waiting for them at the end? M.L. 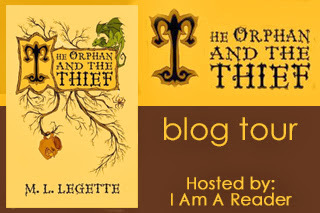 Legette conjures up a captivating magical tale in The Orphan and the Thief. I loved this story and I could not put my Kindle down until I finished the last page. This charming story is so good that it may very well become a classic.